UPDATE 9/12/ 15 – Dominic and Barbara found the couple after someone reported a vehicle parked in a driveway in Union Township, according to NBC Philadelphia. A witness stated they got out of the car and walked into the woods. When the police got there they found the them walking in the wooded area disoriented. 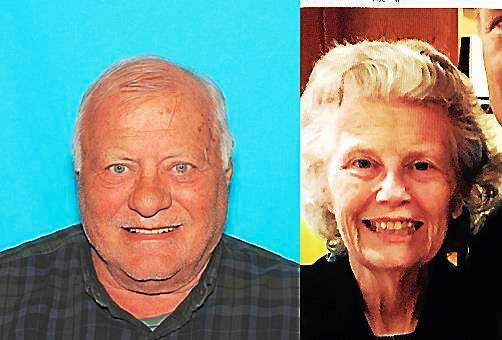 Original story: A Pennsylvania senior couple are missing after going to the grocery store. The couple just moved to a East Goshen Township into the Bellingham Retirement Community from Sellersville retirement community. They left on Friday to get the groceries but never returned. Dominic, 76 and Barbara, 77, Jampo last talked to their children around 9:30 that morning. They do not have a cellphone and they have not checked into any area hospitals. Dominic is dependent on insulin. If you see them or their car, please call the police at 610-692-5100.